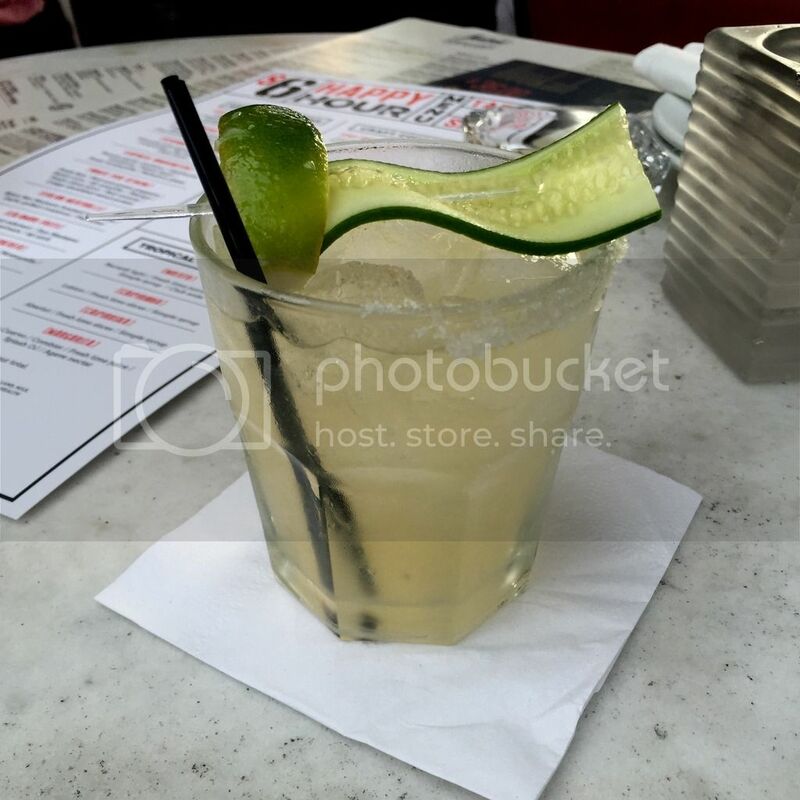 Spicy Cucumber Cilantro Margarita – (below) Jose Cuervo, Combier, fresh lime juice, Agave nectar, fresh cucumber, jalapeño and Cilantro microgreens. Be careful, this one has serious kick. 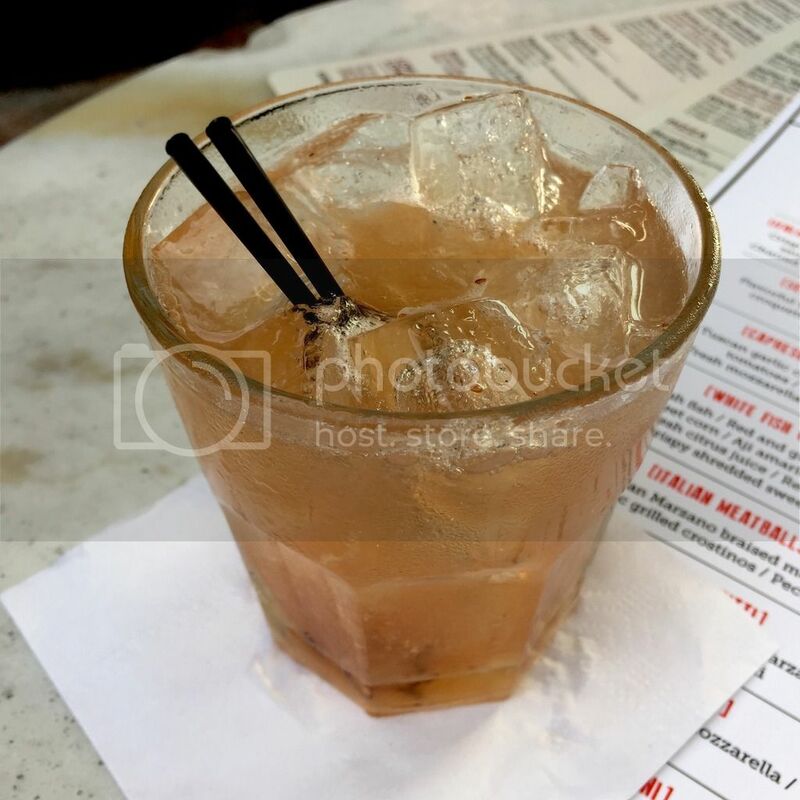 Black Bourbon – (below) bourbon whiskey, blackberry, lime juice and simple syrup, topped with club soda. 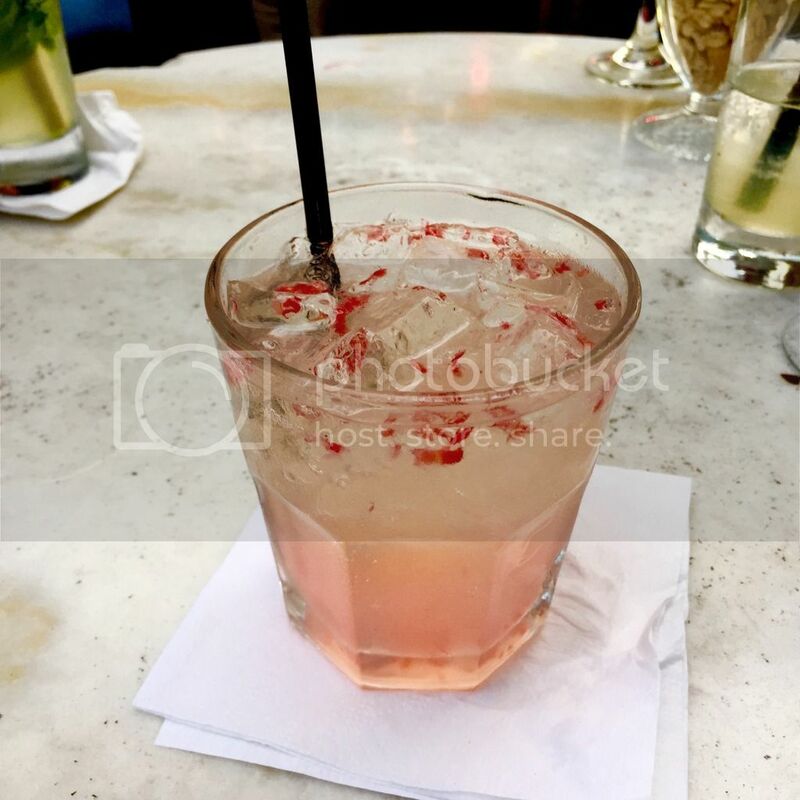 Sunset Raz – (below) gin, raspberry, lime juice and simple syrup, topped with sparkling wine. 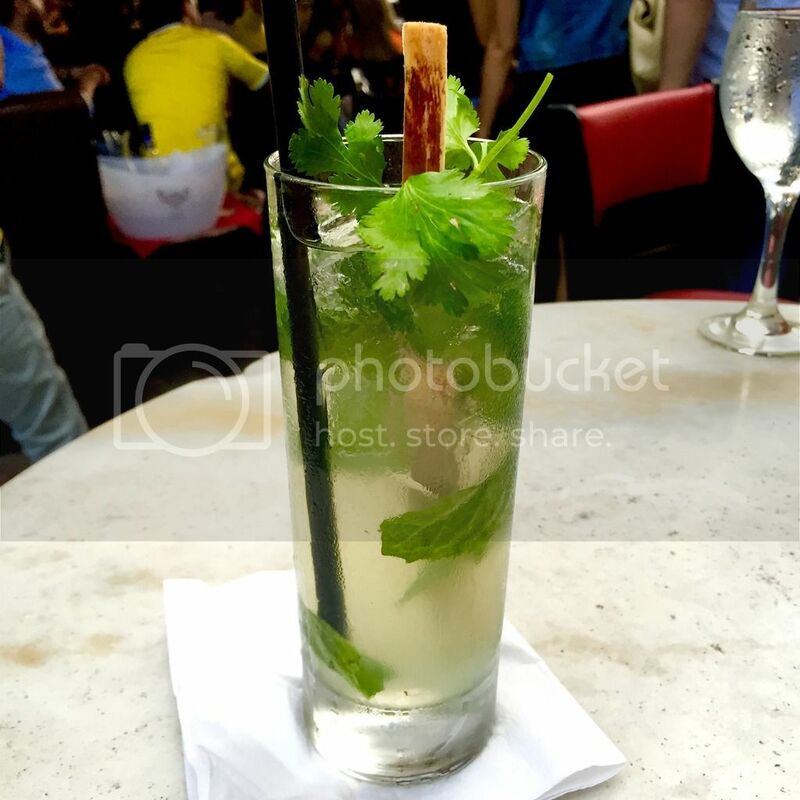 Mojito– (our favorite, below) Bacardi light, fresh lime juice, mint, simple syrup and club soda. A classic done right. 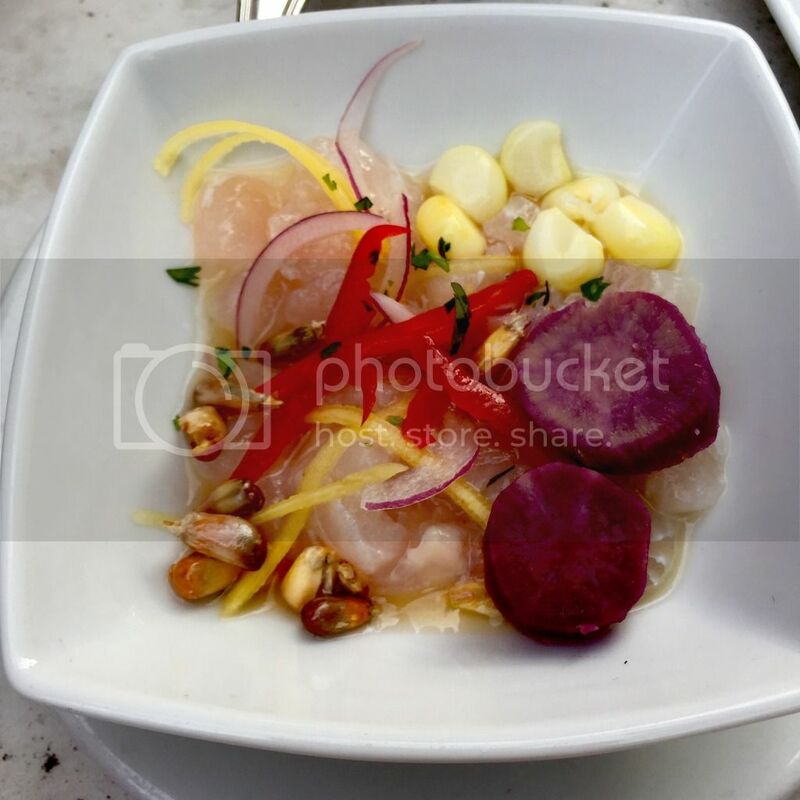 White Fish Ceviche – (our favorite, below) fresh fish, red and green peppers, sweet corn, aji amarillo, mango, fresh citrus juice, red onions and crispy shredded sweet potato. 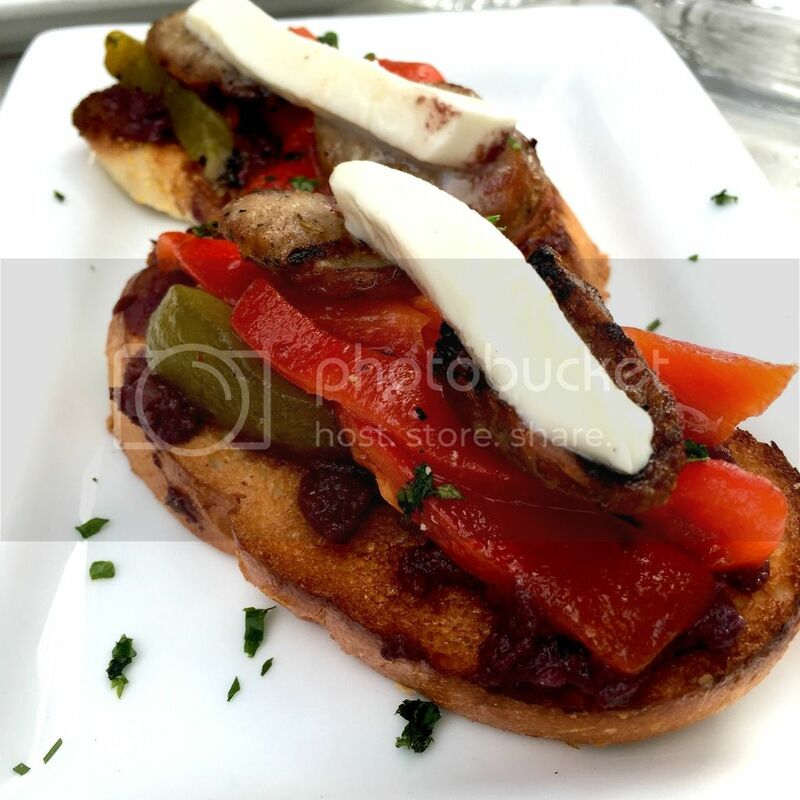 Caprese Bruschetta – (below) Tuscan garliccrostino, heirloom tomatoes, sweet basil, fresh mozzarella and balsamic glaze. 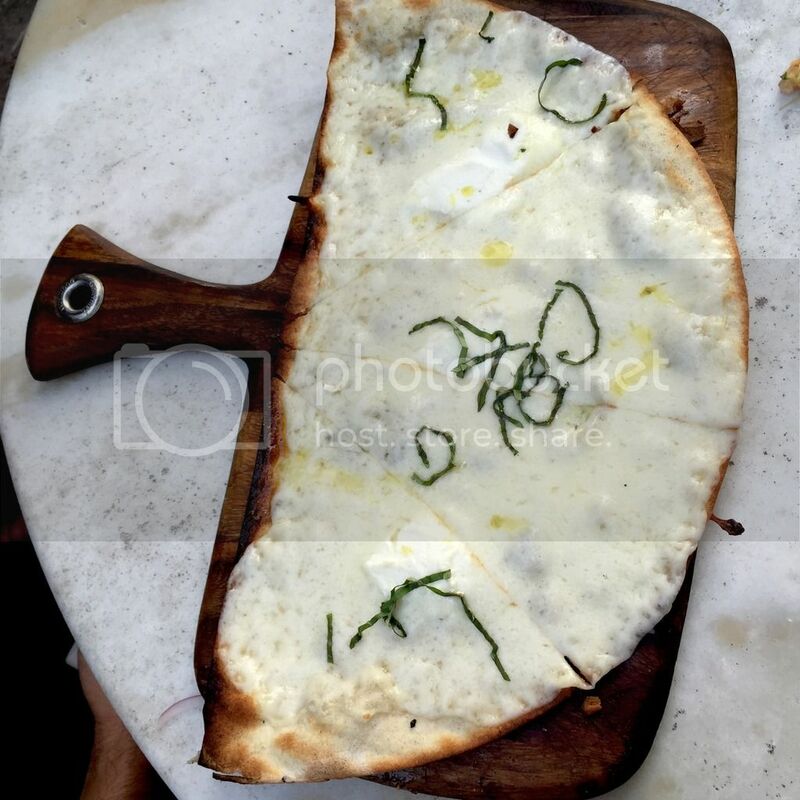 Pizza Bianca – (below) ricotta truffle cream, mozzarella, garlic, basil and truffle oil. 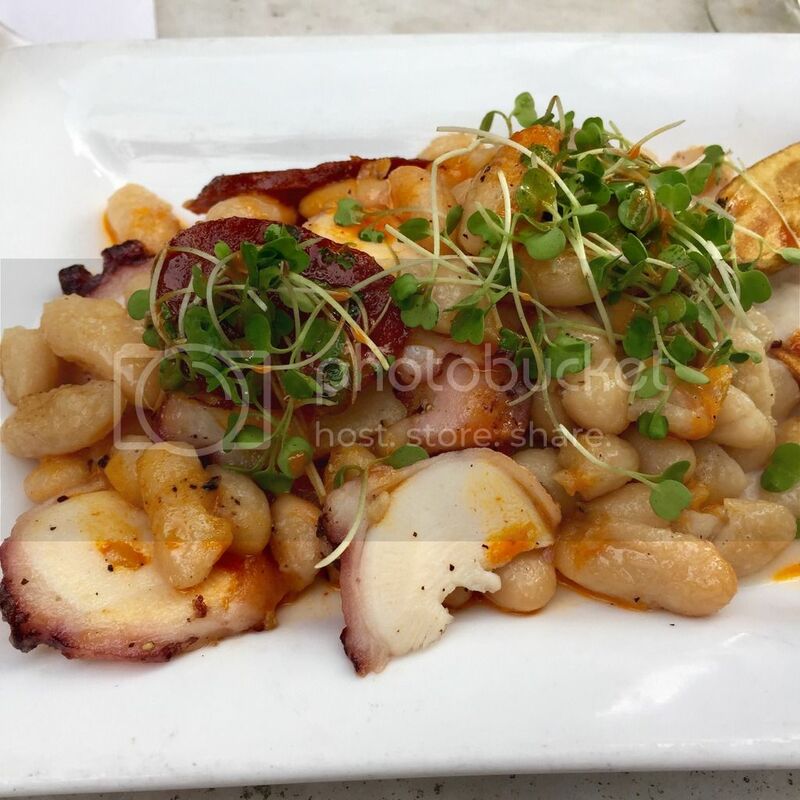 Grilled Mediterranean Octopus – (below) sous vide octopus, chorizo, fingerling potatoes, white beans, arugula, white bean puree and smoked paprika vinaigrette. The Scene: The crowd at Segafredo during happy hour is not what you’d expect at a place giving away cocktails and bites for six bucks. Both the garden bar and the indoor hall come alive with swarms of attractive and well-dressed men and women. But rather than the suits, ties and smart work-attire you might find at Tamarina or db Bistro, Segafredo hosts a more laid-back brand of sophistication. Sleeves are rolled up, hair is let down, and everybody’s usually too busy drinking or dancing to talk about work.